Steven Spielberg is an American film director, producer and screenwriter. He has won a number of Academy Awards for his film work. Childhood: Steven Spielberg was born in Cincinnati, Ohio. His parents, Leah Adler and Arnold Spielberg are Jewish. As a child, Steven made a number of 8mm movies and showed them at his home, charging 25 cents entry. At the age of 13, Steven Spielberg made a 40 minute movie named 'Escape to Nowhere' and won a prize for his efforts. 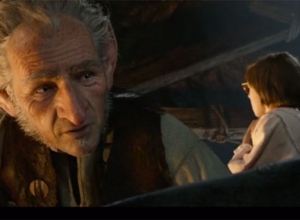 Spielberg's first independent movie was entitled Firelight. It was a science fiction movie and Spielberg was just 16 years old when it was made. He profited $100 on its release in a local cinema. When Spielberg's parents divorced he moved to California with his father and applied for the film school at the University of California. He was rejected on three occasions and instead attended California State University. Film Career: After being signed to Universal Studios for TV work, Spielberg made his debut as a film director with The Sugarland Express, released in 1974 and starring Goldie Hawn. Spielberg was then offered the job of director for Jaws. 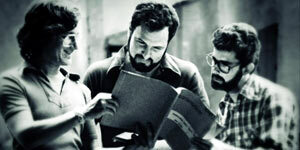 The project was almost cancelled when it ran over-budget but the team persisted and the film was a massive international success, garnering three Academy Awards, making Spielberg a household name. Spielberg turned down offers to direct King Kong, Superman and Jaws 2. Instead he focused on Close Encounters of the Third Kind, another collaboration with Richard Dreyfuss. This time, the film earned six Oscar nominations and won two of them. However, his next effort, 1941, was a critical and financial failure. 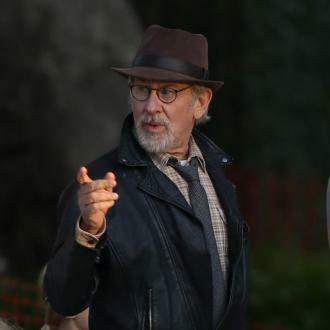 Spielberg's next project was a collaboration with his friend George Lucas. Raiders of the Lost Ark starred Harrison Ford as the film's hero, Indiana Jones. It was the biggest box office hit of 1981 and again, earned a number of Oscar nominations. 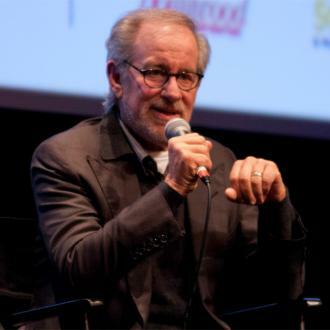 The following year, Spielberg returned to the big screen with E.T., which starred a young Drew Barrymore and was nominated for nine Oscars. Spielberg wrote the screenplay for Poltergeist, as well as directing the film. His next two films, The Twilight Zone and The Goonies, a children's adventure, were both a huge international success. 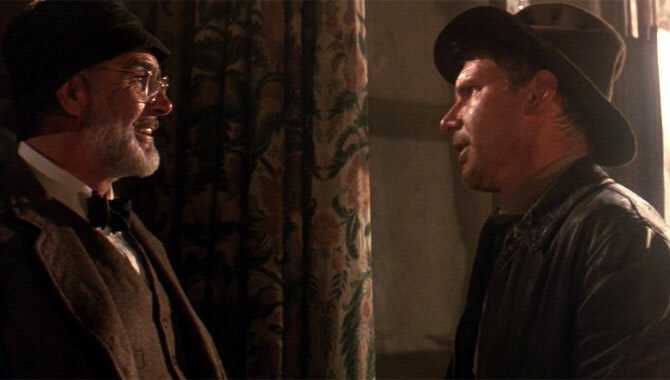 Indiana Jones and the Temple of Doom was again helmed by George Lucas and Steven Spielberg but was marginally less successful than its predecessor. Spielberg 's Gremlins was the film credited for the creation of the PG-13 rating, for films aimed at young audiences, but featuring a high level of violence. The Color Purple, released in 1985, was an adaptation of Alice Walker's book of the same name. The film starred Whoopi Goldberg and Oprah Winfrey and earned 11 Oscar nominations. Two years later, Spielberg shot Empire of the Sun, starring John Malkovich and Christian Bale. In 1989, Spielberg directed the last of the original Indiana Jones trilogy, Indiana Jones and the Last Crusade. Sean Connery played Jones's father in the film and the movie proved to be another box office hit. 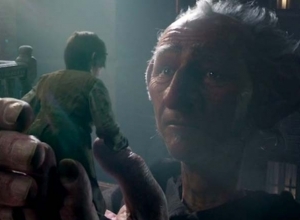 Spielberg went on to direct Hook, starring Robin Williams. 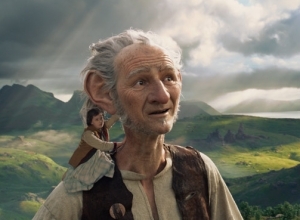 The film was about a middle-aged Peter Pan returning to Neverland. The film made a net profit of around $230 million. 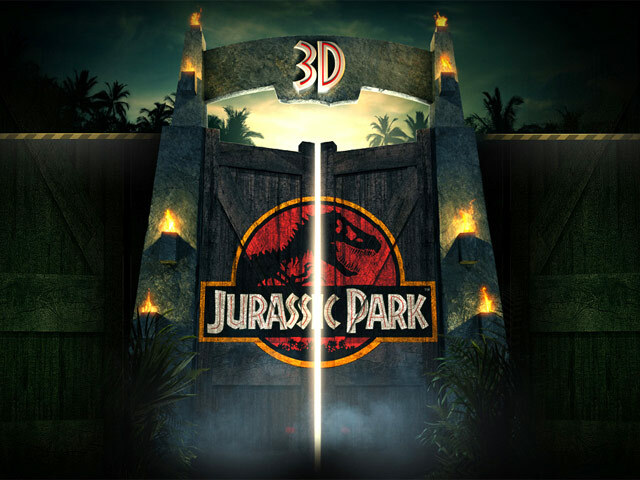 Jurassic Park was released in 1993 and was one of Spielberg's most highly-anticipated releases. The film featured computer-generated dinosaurs, courtesy of George Lucas' Industrial Light and Magic company. Its follow-up, The Lost World: Jurassic Park was released in 1997. Schindler's List was a highly moving drama set in the time of the Holocaust. Spielberg won his first Best Director Oscar for the film. 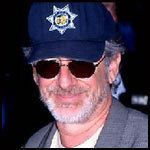 From the late 1990's Spielberg released a stream of highly successful films via DreamWorks Pictures. 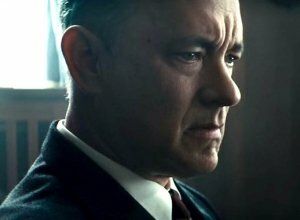 The first was Amistad, followed by Spielberg's representation of World War II, Saving Private Ryan, which featured Tom Hanks in the title role. Spielberg and Hanks also produced the HBO TV series Band of Brothers. In 2001, Spielberg filmed AI: Artificial Intelligence, Stanley Kubrick's final project, which he was unable to start whilst he was alive. In Minority Report, Spielberg teamed up with Tom Cruise, for the sci-fi film that proved to be a huge hit. 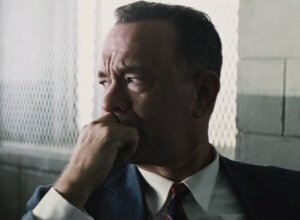 In 2002, Spielberg directed Catch Me If You Can, a true story of a con-artist, starring Leonardo DiCaprio and Christopher Walken. 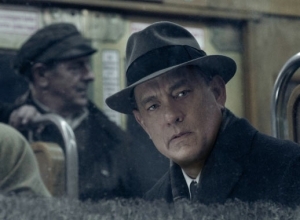 In 2004, Spielberg re-joined forces with Tom Hanks for the hit The Terminal, which also starred Catherine Zeta Jones. The next year, he worked on an adaptation of H.G. Wells' War of the Worlds. The film starred Tom Cruise and Dakota Fanning. Spielberg then went on to direct Munich, a film covering the massacre of Israeli athletes at the 1972 Olympic Games. In 2007, Spielberg returned to the Indiana Jones franchise and released Indiana Jones and the Kingdom of the Crystal Skull. Harrison Ford returned to his lead role in the film, which grossed over $785 million across the globe. 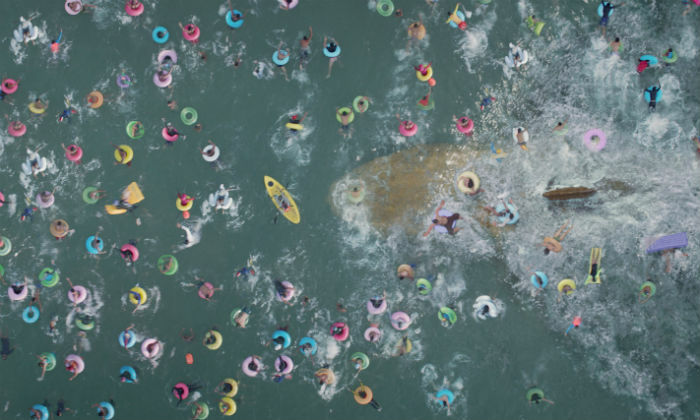 'The Meg' is finally here - but how does it fare against these ten flicks? For some reason, sharks are a magnet for terrible movies; some incidently, others deliberately so. After 1975, there have been very few good aquatic horror flicks, which is why when 'The Meg' was announced, we were all rightfully sceptical. And while it's not about to be a critical success, it seems audiences have taken it with a pinch of salt. After all, there have been worse. Rumoured script issues mean that 'Indiana Jones 5' will not make its July 2020 release date. Fans of INDIANA JONES who’ve been waiting a decade for another sequel in the franchise are going to have to wait a little while longer, with new reports that the fifth film will not meet its previously mooted release date of 2020. Director Steven Spielberg and the movie’s star Harrison Ford had been all pencilled in to return to the big screen on July 10th, 2020. However, Variety claims that Indiana Jones 5 now has no chance of making that deadline. Crew members have apparently been told there could be delays for up to a year because of script issues, meaning that the original April 2019 date for the beginning of filming will be pushed back. Leonardo DiCaprio To Reunite With Steven Spielberg On New Film? A kinda-sequel to 'Lincoln' is apparently being planned, with DiCaprio tipped for the lead role in a film about Ulysses S. Grant. Filmmaker Steven Spielberg is reportedly considering a (sort of) sequel to his Oscar-winning historical drama Lincoln, this time about Civil War general Ulysses S. Grant, and is thinking about tapping up Leonardo Dicaprio for the lead role. Spielberg is understood to be in talks with DiCaprio so that they can work together for the first time since 2002’s Catch Me If You Can, according to The Hollywood Reporter. The new project will concern the Civil War general who ascended to the presidency a few years after his ally Abraham Lincoln's assassination in 1865. While it isn't being pitched as a direct sequel to Lincoln, as it will be based on Ron Chernow's biography ‘Grant’ rather than anything by Doris Kearns Goodwin, whose book ‘Team of Rivals’ was the basis for Lincoln, many will see it as a thematic follow-on from Spielberg’s much-praised film that starred Daniel Day Lewis. Continue reading: Leonardo DiCaprio To Reunite With Steven Spielberg On New Film? He hit the figure with the success of 'Ready Player One'. With some of the biggest Hollywood classics bearing his name, Steven Spielberg has made cinematic history once again by becoming the first director to earn $10 billion at the worldwide box office. The rest of the top ten, it's safe to say, didn't even come close to such an impressive figure. Thanks to his latest film 'Ready Player One' grossing a global total of $475 million in just three weeks, the three-time Oscar winning filmmaker is now the only one to have managed to gross $10 billion in his long career. Spielberg begins shooting 'Indy 5' with Harrison Ford in 2019 - but says the franchise is still open for development after that. With filming of the fifth instalment of action-adventure franchise Indiana Jones due to start next year, director Steven Spielberg has floated the possibility of a female-fronted version of it – ‘Indiana Joan’, if you will. After the all-female re-boot of Ghostbusters two years ago and the similar re-vamp Ocean’s Eight coming soon, the Oscar-winning director has suggested that his landmark series could be re-imagined with a woman in the lead role. “We’d have to change the name from Jones to Joan. 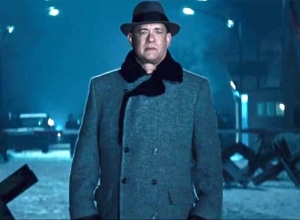 And there would be nothing wrong with that,” he told The Sun this week, saying that it might be time that Indiana Jones “took a different form” when the fifth instalment was completed. Olivia Cooke, who plays Artemis in the new 'Ready Player One' movie, recalls her experience working with director Steven Spielberg. Scoring the second biggest box office weekend opening of the year so far, 'Ready Player One' looks set to be a huge success for director Steven Spielberg, and its incredible cast of talented actors. From leads Tye Sheridan and Olivia Cooke, to Mark Rylance and Ben Mendelsohn, this is a stacked cast that help bring to life Ernest Cline's novel of the same name. Based mainly within the virtual reality world of the OASIS, the biggest treasure hunt in history ensues when the OASIS's creator dies, leaving behind an Easter Egg that holds riches and ultimate control of the OASIS to whoever can find it. Thus starts a dangerous and challenging race to the Easter Egg, with a number of huge challenges in the way of those who hope to grab its power. Steven Spielberg is working on bringing his iconic character Indiana Jones back to the big screen for a fifth time. Steven Spielberg has confirmed that 'Indiana Jones' will be returning in the near future, with filming kicking off on the fifth movie in the series in early 2019. Not only that, but the filmmaker said that the stars would be coming together in the United Kingdom to shoot scenes for 'Indy 5'. Whilst not a lot of information has been given about the plot of the fifth 'Indy' movie, we do know that Shia LaBeouf won't be making a return as Mutt Williams, making his appearance in the fourth film a one time deal. At the time of 'The Kingdom of the Crystal Skull' premiering in cinemas, it looked like the character might be the one to take over from Harrison Ford's Indiana for good. Fortunately, that won't be the case. The legendary filmmaker has some big plans for the future. Steven Spielberg is without a doubt one of the most iconic filmmakers of our time. Famed for working on a number of huge projects such as 'Jurassic Park', 'Minority Report' and 'E.T. the Extra-Terrestrial', he's someone who hasn't let his success get the better of him, refusing to bow out of the industry which he loves so much and recently hitting it big with new film 'The Post', which he produced. There are a whole slew of projects in development in which Spielberg is currently involved, such as the adaptation of hugely successful novel 'Ready Player One', the new 'Jurassic World' movie and a currently untitled 'Men in Black' sequel. What a lot of his fans are most excited about hearing about however, is when he'll start getting the fifth 'Indiana Jones' movie off the ground. It’s the year 2045 and the only way to survive on Earth is to escape it, by living in a virtual reality game called the OASIS (Ontologically Anthropocentric Sensory Immersive Simulation). Based on Ernest Cline’s bestselling novel and directed by Steven Spielberg, ‘Ready Player One’ hits theatres this spring.